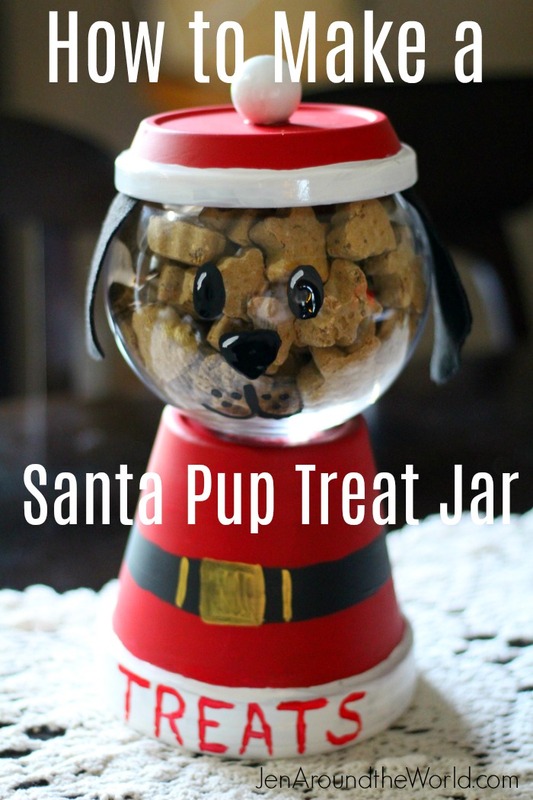 This craft for my Santa Pup Treat Jar is sponsored by BLUE Santa Snacks® and the BlogPaws® Pet Influencer Network™. 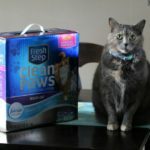 I am being compensated to help share information about Blue Buffalo Santa Snack, but we only shares information we feel is relevant to our readers Blue Buffalo is not responsible for the content of this article. 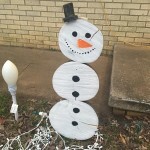 During the holidays and all throughout the year, I love creating crafts that show my love for my sweet fur baby Tucker. 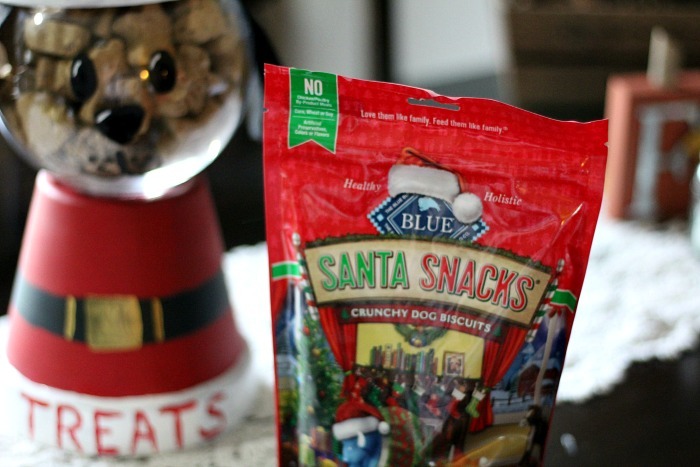 This holiday, I made a Santa Pup Treat Jar that I am using to house his new favorite holiday snack – BLUE Santa Snacks® ! 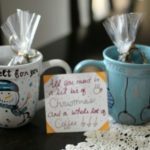 This holiday treat jar is so easy to make and is super versatile meaning that you can switch out the hat and bottom all throughout the year to make it match whatever holiday season you are celebrating. For us, since it is the Christmas season, I wanted it to look like a Santa Pup. 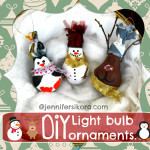 To make this super cute treat jar, you need the following craft supplies. 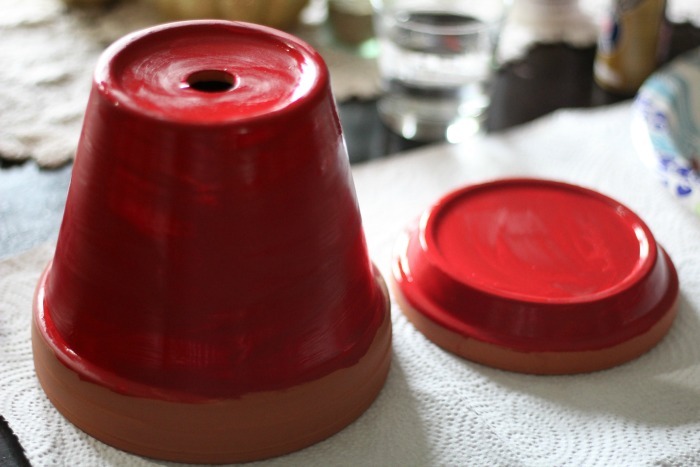 For starters, you are going to take your red paint and paint both the Terra Cotta Pot and bottom with red. 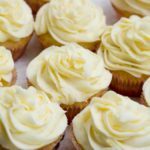 Leave the rims plain because you are going to pain them white later. I picked up all of these supplies from my local craft store. It made it easy making sure the fish bowl I got was the correct size for the terra cotta pot I chose. Since Tucker is a little guy and the Blue Buffalo treats are on the smaller size, I got a regular size fish bowl, but you can go as big or as small as you want to. Just make sure that your terra cotta pot matches the size you get, especially the top. It has to overlap the opening of the glass bowl. Next, take your terra cotta pot and paint the rims on both white. 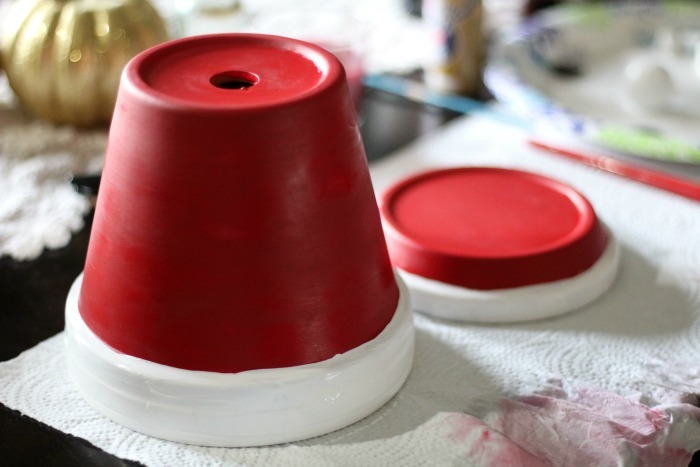 Then, paint your wooden knob white as well and once it is dry, glue it to the terra cotta bottom where the red is to resemble a Santa hat. After you do that, the rest is easy peasy! 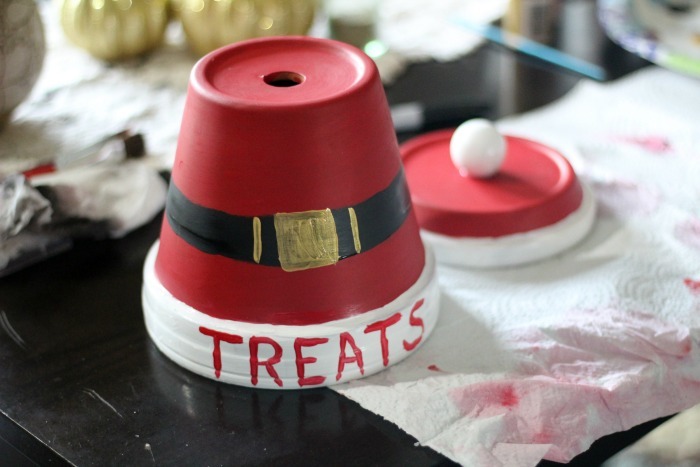 For the bottom of the Santa Pup Treat jar, which is the actual terra cotta pot, I painted on a black belt with a gold buckle and painted on the word “treats” at the bottom. For the glass jar, you are simply going to paint a puppy face on it. 2 black eyes, a puppy nose, some whiskers and you are all set. 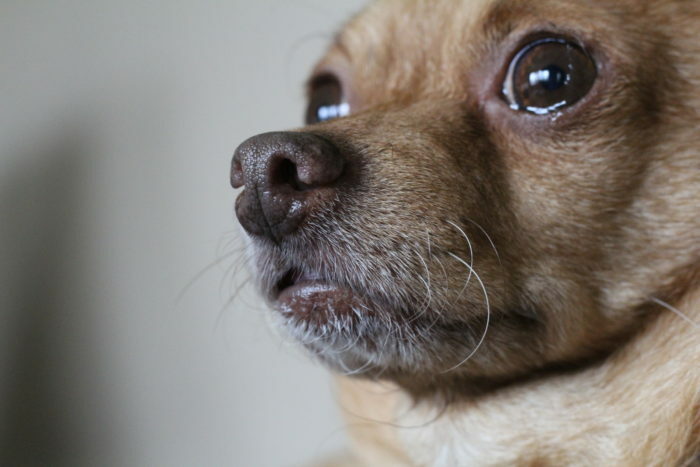 You can add a few accents to the eyes with some white and a little white stripe on the nose to look like a highlight. Now, you are going to take your black felt and hand draw out a couple of ears. If they are too long, it’s no worry. 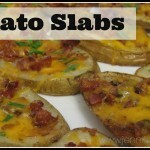 You can trim the tops of them until you get them the length you want. 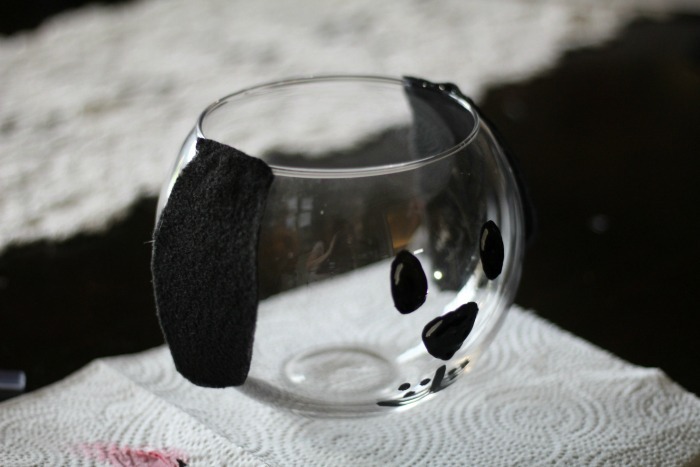 Then with the glue gun, glue them onto the fish bowl for the perfect looking little poochie! Tucker really loves his treats and I always like to make his treat time a fun time. He dances for them, he barks for them and anytime he hears the cats getting a treat, he thinks it’s high time for him to get one too. These delicious baked crunchy dog treats feature holiday spices like cinnamon and wholesome ingredients like oatmeal, barley, pumpkin and flax seed — which makes me know it is okay to give them to my little guy. 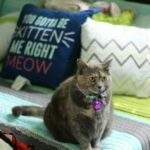 Blue Buffalo is all about their commitment to pet cancer research. 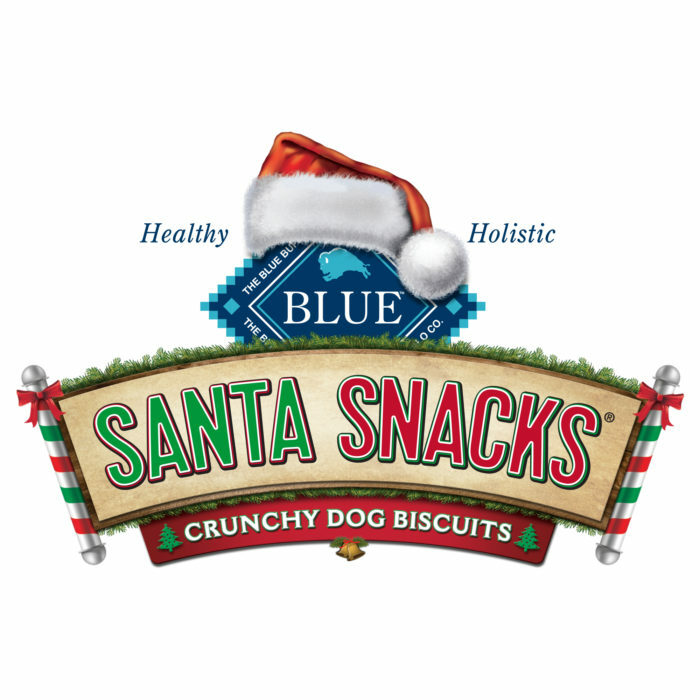 The Blue Santa Snacks from Blue Buffalo are the perfect size for my little guy. 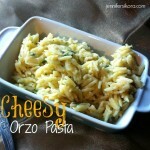 They are crunchy enough to help clean his teeth and for him, they taste good too! Capture your pet looking naughty or nice, then enter the photo for your chance to win $500 worth of their favorite BLUE™ food and a stocking of goodies! This little face could never be naughty right? You would be surprised! To finish off your treat jar, just stack your pieces up. 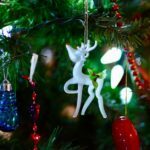 You could hot glue them together, but I like to interchange mine for the seasons, so I just sit the fish bowl on top and fill it with Tucker’s favorite treats – and this holiday it’s the delicious Blue Buffalo Blue Santa Snacks. You can pick up these snacks at these local shops — Target, Meijer, Kroger, Pet Smart, Regional Retailers, and Chewy.com. An 8 ounce bag runs around $5.99. 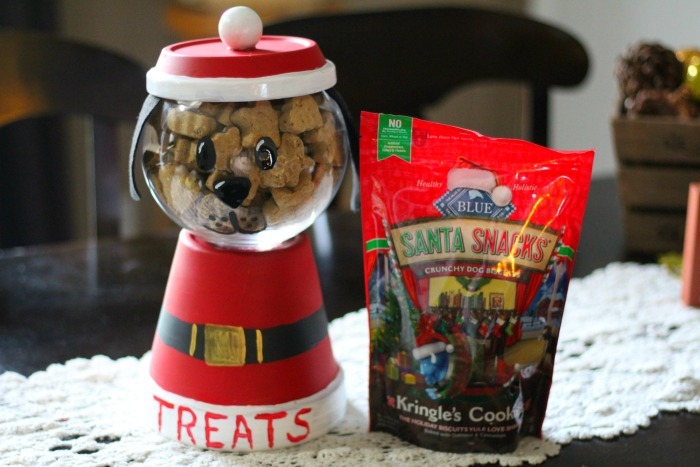 How do you present your fur baby his or her treats during the holiday?